As much as I don’t enjoy winter, I do have to say I love hot, cozy beverages. You can’t really truly enjoy a hot chocolate in the middle of the summer, unless you try a frozen hot chocolate, but a hot chocolate on a cold, winter day can do just the trick to take the chill off. Peppermint Mocha. I’m all about festive cocktails this year, and this one is sure to top my list as a favorite, sit by the fire, snuggle up with a good book, kind of drink. 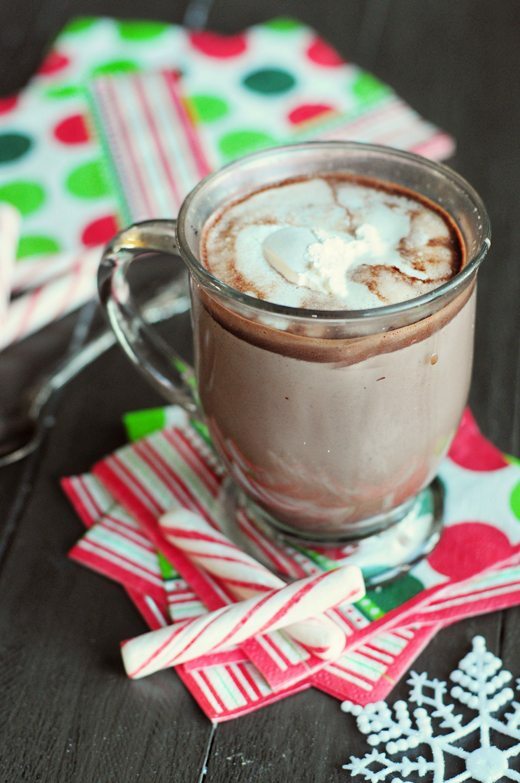 Make yourself a mug of Kahlúa Peppermint Mocha Hot Chocolate or create your own recipe using Kahlúa Peppermint Mocha. The free Kahlúa”Talk About App”, found after you “like” their Facebook page, can help you figure out just how to best enjoy your Kahlúa and your company. Whatever you chose to do, take some time to relax and unwind this holiday season. Enjoy! Bring milk to a simmer. Whisk in drinking hot chocolate. Simmer for 30 seconds while stirring. Add Kahlua Peppermint Mocha. Garnish with peppermint stick and marshmallows or whipped cream. Disclosure: Thank you to Kahlua for providing the ingredients to make this delicious drink! All opinions expressed are my own. Ohhhh boy this looks so good. Chocolate, kahlua, peppermint…you can’t go wrong! I haven’t seen this yet, but peppermint is one of my favorite flavors of the holiday season! Didn’t know there’s such a flavor until now! Sounds super delicious and got all ingredient/flavor I love. 😛 Wish you and your family a wonderful Holiday Season! Oh I could go for one of those tonight! That sounds awesome! Might have to make a trip to the liquor store pretty soon, thanks! Delicious grown up hot chocolate. I could go for it right this minute and every day for the rest of this winter. I absolutely love your pictures! And, the drink looks absolutely fantastic, too. Merry Christmas! I’ve had it! Just on the rocks mostly… and it is indeed GOOD stuff! Dearest sweet Kristen, this is really really yummie! I am gonna make this. 🙂 Thanks so much for sharing. Have a beautiful sunday sweet friend. Wishing you a wonderful festive time with your friends and family!! Love to you! 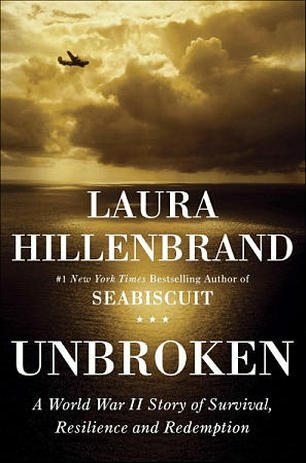 I haven’t seen this one yet but it sounds like it would be pretty darn good! 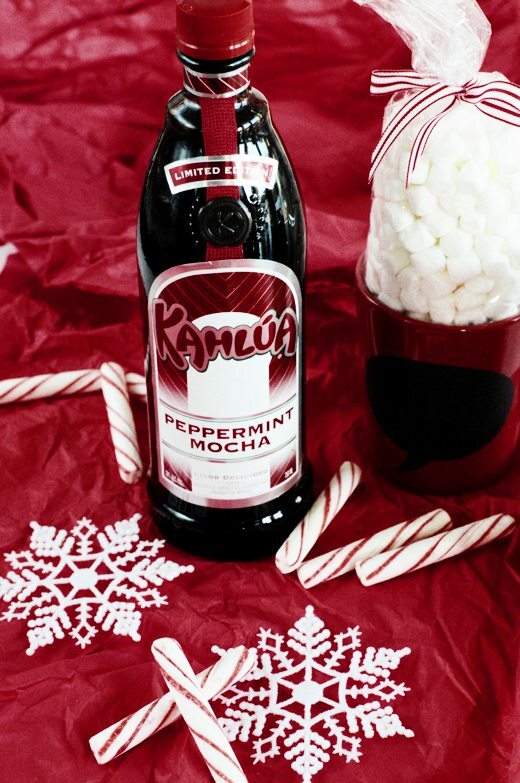 Kahlua Peppermint?? Love it! I’m going to be on the hunt for this one for sure! Oh I saw this type of Kahlua at the store and *almost* bought it! This drink looks fabulous! I haven’t seen this yet I know none of that resembled any form of a real sentence, but what I mean to say, is this sounds delicious, great post, i like it very much. Yummo! Thanks for sharing this sista! Heading to Montana for the holidays…this is going to be the perfect treat after a day on the slopes! Thanks! This sounds like it would be wonderful to have a drink on a cold Christmas night. I want to try this the 25th, thank you.